Welcome to the AAUW Florida Website! Click on this link and download the entire state calendar for the year: 2018-2019 AAUW Florida calendar. Please note that Lobby Days in Tallahassee will be March 12th and 13th. To be really successful we need lots of branches to be represented. 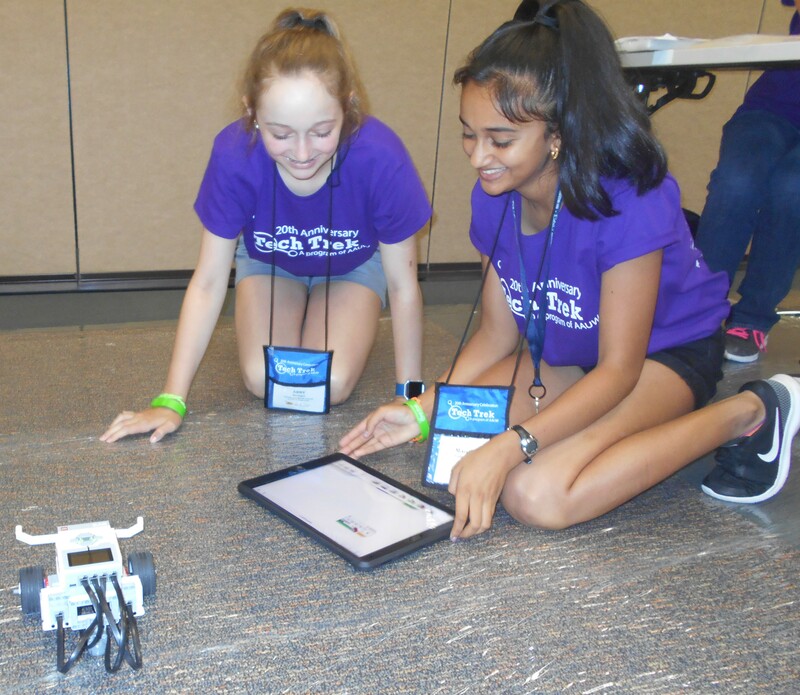 At each Tech Trek camp the girls are immersed in a world that empowers and encourages them to think about themselves as future scientists, engineers, mathematicians, and computer specialists. They learn about the various STEM fields by attending core classes, work and Professional Women’s Night where they meet women who are currently working in various STEM careers. 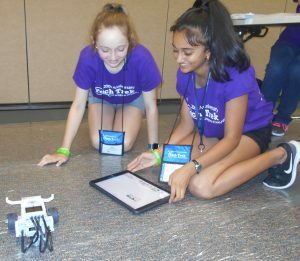 The girls also work in very small groups where they learn to build bridges, program robots to do specific tasks, write computer applications, etc. 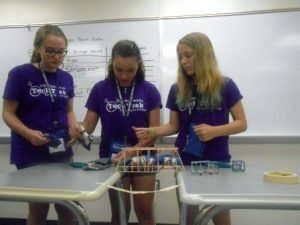 In 2019 there will be two Tech Trek camps attended by 48 girls at each camp. The first camp will be at Stetson University in Deland from June 9th to June 15th. The second will be at Florida Atlantic University in Jupiter from June 16th to June 22nd The girls, adult camp personnel will reside in a college dorm and dine in a campus cafeteria. . 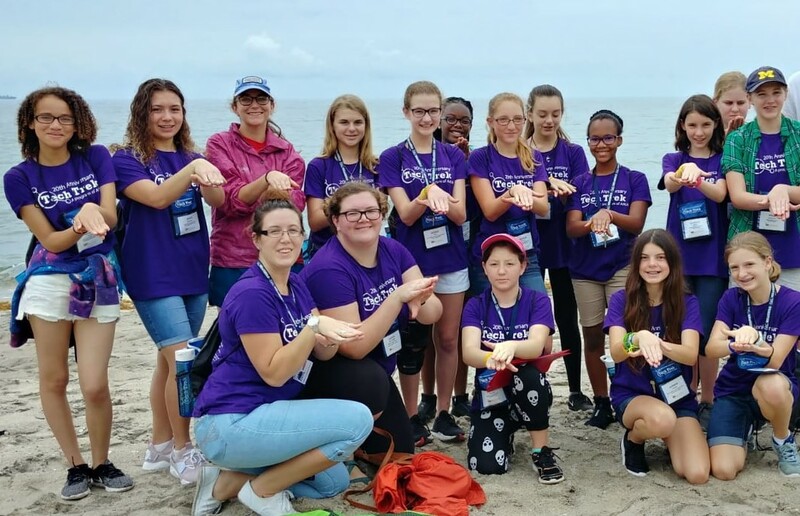 This year 96 of the girls who were nominated by a science or math teacher, completed an application and were interviewed by a committee of AAUW members have been selected to attend one of the camps. 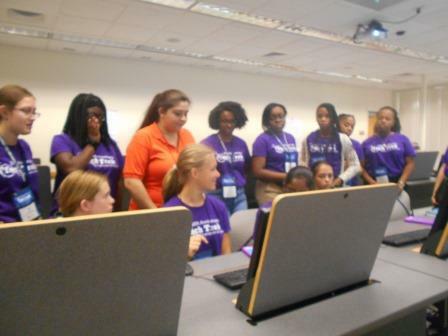 For additional information visit the AAUW Florida Tech Trek website. You can help raise funds for the camps by shopping at smile.amazon.com and select the AAUW Florida Supporting Foundation as your charity. The Amazon Foundation will donate a small percentage of the price of the items you purchase to the foundation that sponsors the TechTrek camps. 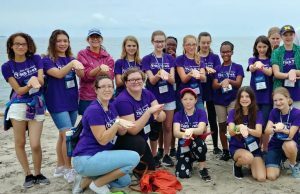 Are you excited about young women in STEM? Click here to visit the link for for more information or to become a sponsor!